YWAM Calbayog is a family of worshippers and prayer warriors committed to train, mentor and serve the Body of Christ and the poor and needy in Samar. We seek to bring a strong godly influence and proclaim the Gospel of Jesus Christ through these programs and services: prayer evangelism, mobilizing local and foreign outreach teams; hosting and conducting seminars; counseling; day care ministry, livelihood and literacy program, spiritually and physically giving care to the felt needs of the poor and needy; serving the Body of Christ (the church) locally and internationally and networking with the government and non-government organizations. Presently outreach to the area includes children's ministry, evangelism and encouraging/equipping the local churches. More ministries are planned for the future. Come join us! Samar is the 3rd largest island in the Philippines and is divided into three provinces: Northern, Eastern, and Western Samar. Calbayog City lies along the coastal highway of Western Samar, which is the largest of the three provinces. The province is hilly and includes some mountains ranging from 200 to 300m high, as well as a few narrow strips of lowland. This province experiences rain in varying degrees for most parts of the year and finds itself often in the path of typhoons during September and October. The people of Samar as well as their dialect is called "Waray" which literally means "nothing." However, we believe that in the Lord�s sight, these people are precious because Christ died for them. Therefore, we would prefer to call them Samare�os. 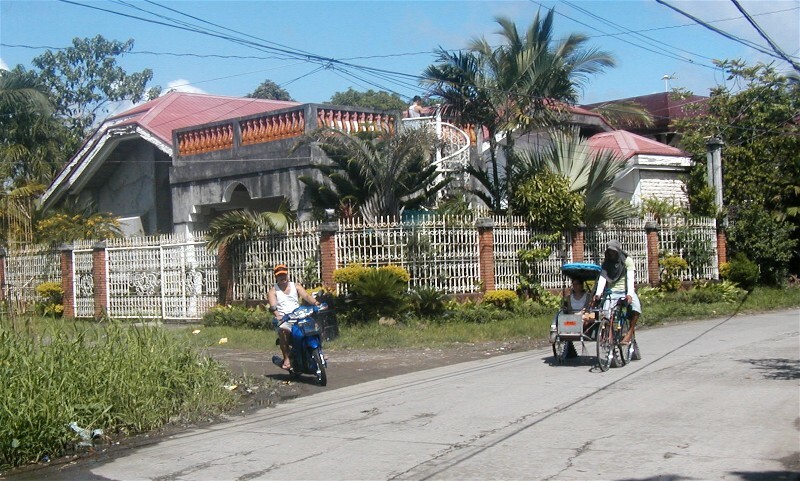 Calbayog is on the Island of Samar, in the Visayan Islands group. It is located near the center of this map of the Philippines, just north of Cebu and Tacloban. 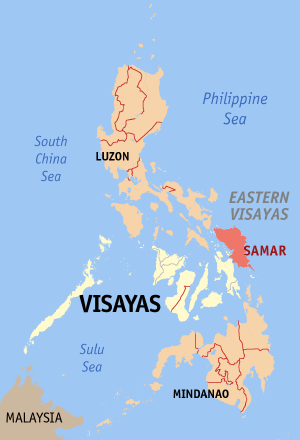 On the map of the Island of Samar, Calbayog is on the northern side of the west coast. YWAM Base house, located in Barangay Carmen, a ten minutes walk from downtown Calbayog. YWAM moved into this house in June 2003. Months before this, someone received a vision of this white house during a time of intercession. YWAM does much regular ministry here, and also in a couple other locations in the area. Webmaster of this YWAM Calbayog website - Dave Brodie.